Butcher Shop treats are canine approved! This resealable pouch of contains 10 ounces of natural rawhide strips with no preservatives. The Butcher Shop brand of dog chews and treats provides a range of healthy dog treats and chews designed to help you care for your canine companion. 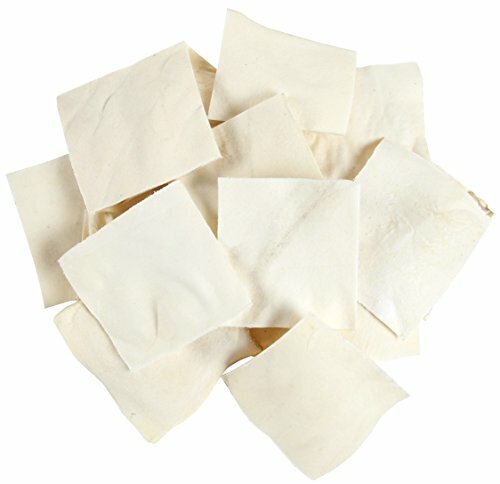 Your dog will love these rawhide strips because it is the natural way to satisfy your dog's chewing needs. The action of chewing allows your dog a healthy outlet to alleviate boredom while helping to reduce tartar accumulation on their teeth. Always supervise you pet while using any pet product and or treat. Great for use a training reward. This product is intended as a treat for occasional use and not as a meal replacement. Your dog will love these rawhide strip chews because it is the natural way to satisfy your dog's chewing needs. Barkworthies USA Beef Lung Chips Treat, 7 oz. Good Lovin' Traditional Rawhide Chip Dog Chews, 3 lbs.